Hey, have of you heard of the latest network marketing craze? Are you a great networker? We hear this too often… people scoffing at network marketing businesses as fly by night scams. For a lot of folks, network marketers are just people cashing in on other people’s ignorance to earning huge money. But oftentimes, these types of comments are the result of misguided assumptions and lack of knowledge. Network Marketing or Multi-level Marketing is one of the largest and fastest growing businesses. If you take a close look at some of the biggest businesses in the world like Amway and USANA, they are using the principle of leverage, a core value in network marketing. Both companies are in the health and wellness market with Amway selling a diverse range of organic products as well. The principle of leverage is obviously very much at work here, where uplines mentor downlines on how to build an organization following their system. 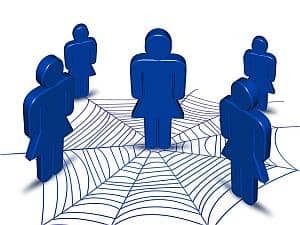 This is important in network marketing because when you as a member have built a network and you are able to lead people in your organization to follow what you are doing, this multiplies the effect of your efforts. This simply means that you can increase your earning potential by simply influencing other people to use a product just like you do, without necessarily doing direct selling or increasing your personal consumption. Savvy networkers understand that with leveraging, goals become easier to attain. Popular marketing gurus like Robert Kiyosaki and Donald Trump have endorsed network marketing as one of the best ways of growing a business. And despite much resistance, this business strategy has continued to flourish and is steadily gaining acceptance worldwide; so much so that many of these businesses are household names and have been around for over 20 or 30 years in many countries all around the world. One of the benefits that have attracted a lot of people to network marking is the huge potential income and the possibility of building a residual income over time. When people understand that their effort is compensated with more lasting results, the motivation to work hard is very high. One successful networking company is Organo Gold. In a relatively short time of being in the market, the company has shown tremendous growth. It has some of the highest earners in the network marketing industry and yet it only opened its doors in 2008. Independent distributors earn big bucks just by using its products and introducing them to other potential users as well. Organo Gold coffee and tea products are very popular. Unlike other coffee or tea products available, their products are unique because they are infused with Ganoderma Lucidum – a mushroom known for its medicinal properties in ancient Chinese herbal remedies, which has been used for over two thousand years. Scientists have found that Ganoderma has antibacterial and antiviral effects and appears to boost the immune system. So unlike regular coffee which is perceived as bad for you, Organo Gold products offer a better alternative which has not only taken off with coffee drinkers, but those who are interested in health and well being also. So, if you are a coffee drinker, you would love the idea of enjoying your coffee without having to worry about the negative health effects. But if you are an independent distributor of Organo Gold, and at the same time building your network, you not only enjoy your coffee, you can also earn a lot of money, so drinking coffee can change your life. Such is the beauty of network marketing.